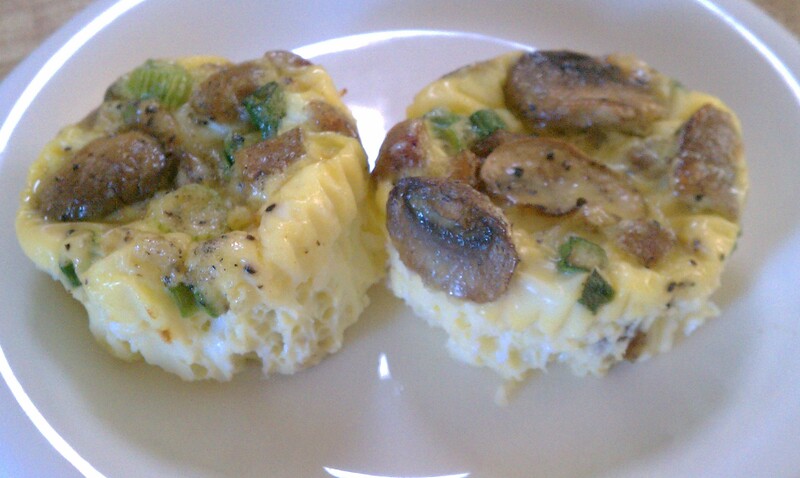 Here's a wonderful mini quiche recipe! They are great for brunch, breakfast or snacks. They also make great finger food at a dinner party. If you'd like to freeze them, simply wrap them individually in plastic and freeze them for up to 1 month. Preheat oven to 325 degrees. Position rack in center of oven. Coat nonstick 12 cup muffin pan or use paper baking cups. Add sausage and cook 6-8 minutes or until golden brown. Transfer to a bowl to cool. Add oil to pan and add mushrooms. Cook until golden brown, about 5-7 minutes. Transfer mushrooms to bowl with the sausage and let cool for 5 minutes. Divide egg mixture evenly among muffin cups. Sprinkle a heaping Tbsp. of sausage mixture into each cup. Bake until tops are just beginning to brown, about 25 minutes. Place rack on top of pan and flip over to turn the quiches out onto the rack. Turn upright and let cool completely before serving. Note: I always seem to have some of the sausage mixture left after making these so I usually use it to make an omelette the next morning. Delicious!